will take to the streets of York on the 9th, 12th and 16th September 2018! like to support this year’s Plays you can do so here. a hugely popular part of York’s cultural heritage. 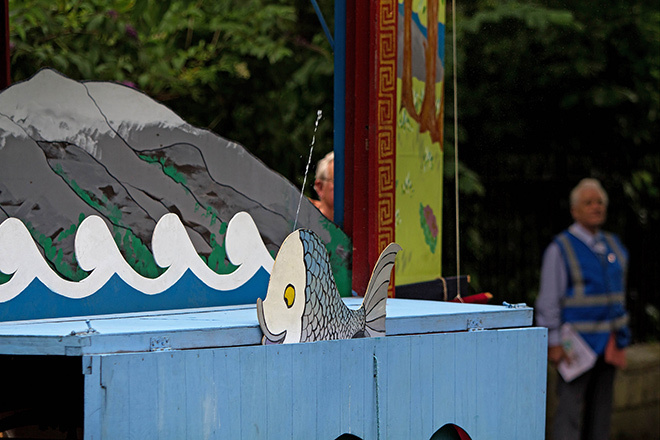 What are the York Mystery Plays? 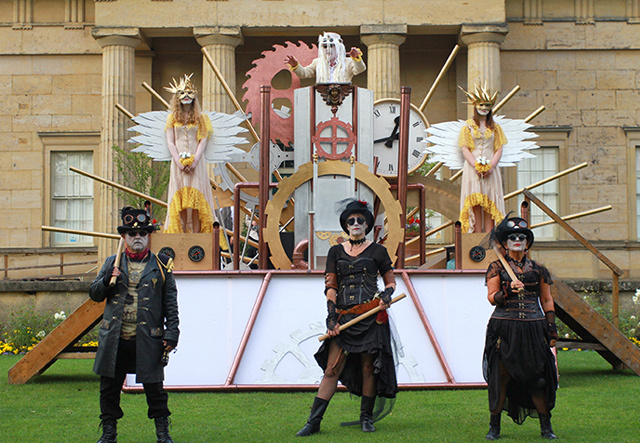 The York Mystery Plays are a theatrical spectacle performed by the communities of the City of York, the Plays are returning to the city for their 20th year on the 9th, 12th & 16th September 2018. Originally a set of 48 plays performed by the medieval Guilds of York, they illustrate the Christian history of the world from the Creation to the Last Judgement. They contain stories of delight, humour, horror, temptation and resistance. 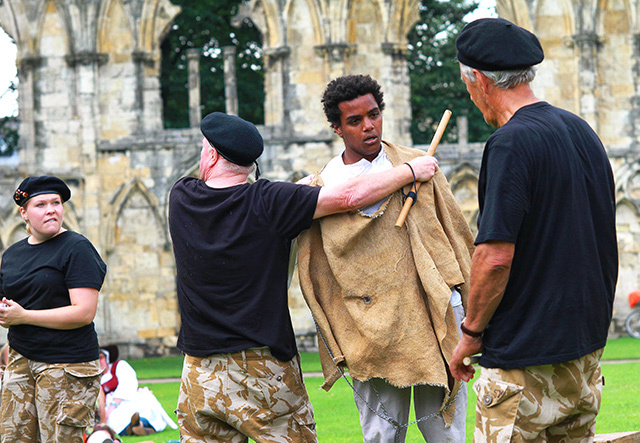 The York Mystery Plays are the joint creation of centuries of York citizens, from the medieval guilds of York to our modern performers and audiences. Find out more about those who make the plays happen. The York Mystery Plays are a cycle of 48 medieval plays covering the Christian history of the world from the creation to the Last Judgment. Find out more about the eleven plays chosen to represent the cycle in September 2018. How do you want to encounter the plays? Whether you’re a dedicated theatre-goer, enjoying a picnic, or simply passing by, there’s a venue for you. 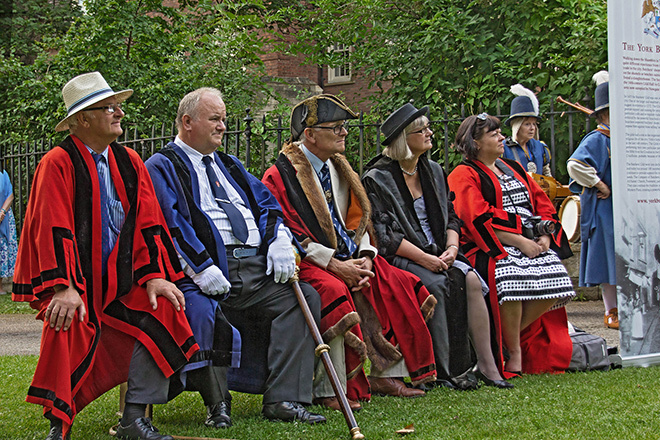 Revived in the 20th century, the Guilds and Companies of York are inheritors to the ancient tradition of York’s Mystery Plays.